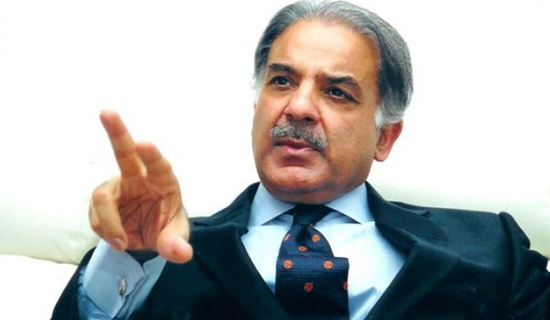 Punjab Chief Minister Shahbaz Sharif said on Wednesday that the two weekly holidays announced by the government were not for Punjab and the decision for the province would be made after a mutual discussion, a private television channel reported. The chief minister said the provincial government was not consulted about the decision to have two weekly holidays, therefore it was not bound to implement it. He said the decision would need to be approved by the Council of Common Interest (CCI) before it was implemented in the provinces. Earlier, Punjab Law Minister Rana Sanaullah had said the provincial government was not in favour of two weekly holidays. Sanaullah said the provincial government would express its reservations at the CCI. Typical "mein na manoon" of PML-N.
Well done, central governemt of Pakistan. Finally, the long awaited decision has come. Govt employees were were long waiting for it. All European contries, America, all Arab countries are already doing the same. Thank you Prime Minister Gillani sahb. The decision of two weekly holidays is good and a long awaited move of the Central Government. But the honoured Chief Minister Punjab has reservations on every move made by the central governemt, even if it is a good decision. All the European countries enjoy two days weekend and still they have progressed. It is a good decision of the federal goverment in the present circumstances of energy crisis. Moreover, two holidyas are good to relax so that people can work for the remaining five days with full vigour and energy. The problem is not with the two holidays, it is a good move, rather the problem is with us because we have become a corrupt nation…….so we should improve and mend ourselves. But the problem with Chief Minister Punjab is that he wants to declare every thing null and void that is proposed by the fedearl government. ____Please, Honoured Chief Minister sahb leave this slogan now, "Main Nah manu"! it's basically a good move which will definitely bring improvement in both sense, energy saving as well as psychological relaxation of those who work through very tough schedules. Continuous negative news, all statistics showing worst picture, bad law & order situation and never witnessed rise in inflation all together has made the life of a common person pathetic & majority of us today face depression – so in these circumstances this step is not bad…. two holidaays will produce postive results not only for govt only but also for employees as well bc relaxed and easy minds r more productive then depressed. but remaining five working days requires sincereity and willingness. shabaz nay hood ghar bathna hai aur hamyyyyyyyyyyyyy kah raha hai ……….holidays nahie hain mashar nay us ko pagal kar dia hai….